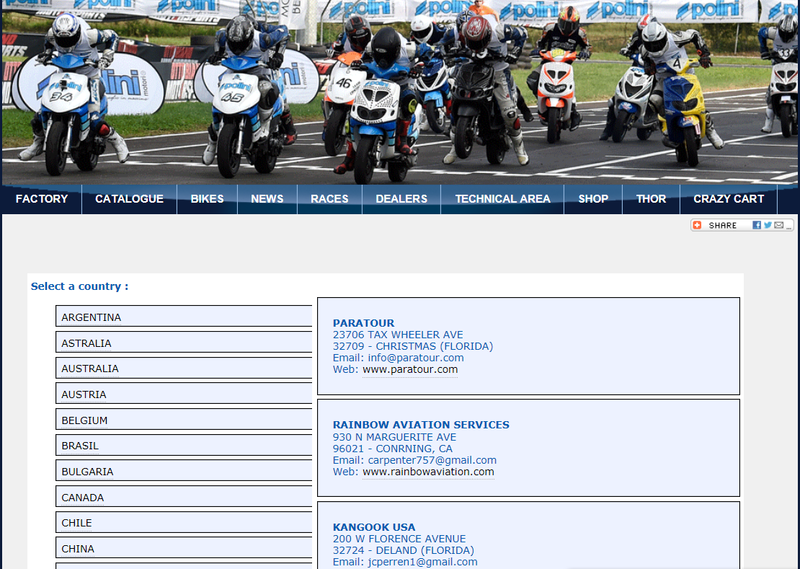 Rainbow Aviation Services is currently working with Polini motors to become a major US importer and service center for the complete line of Polini motors. After we complete our initial investigation and testing of the Polini 250 dual spark engine we will make a determination as to the future potential for the Polini 250 being used in the EMG-6. All of our initial testing gives us great optimism that this is the perfect Reciprocating engine Power plant package for the EMG-6. After we have made our initial investigation and decide that this is the motor that we want to invest more time and money this direction we will begin to stock both engines and parts as well as setting up the shop for doing major overhauls and repairs of the Polini series of motors. Combination of Rainbow Aviation and the light sport repairman courses maintenance program should make for the premier service center for the Polini motors. Rainbow Aviation Services will also be visiting the factory in Italy early next year for additional training.